To Sydenham Hill Wood today, which smells richly of wet leaves and rot. 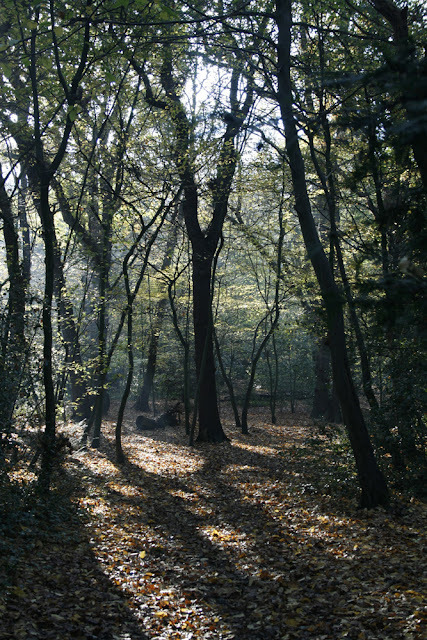 At this time of year the sun is low and the shadows long; if it wasn't for the deep green of the remaining leaves and the mushrooms and fungi everywhere you could almost think it was spring. 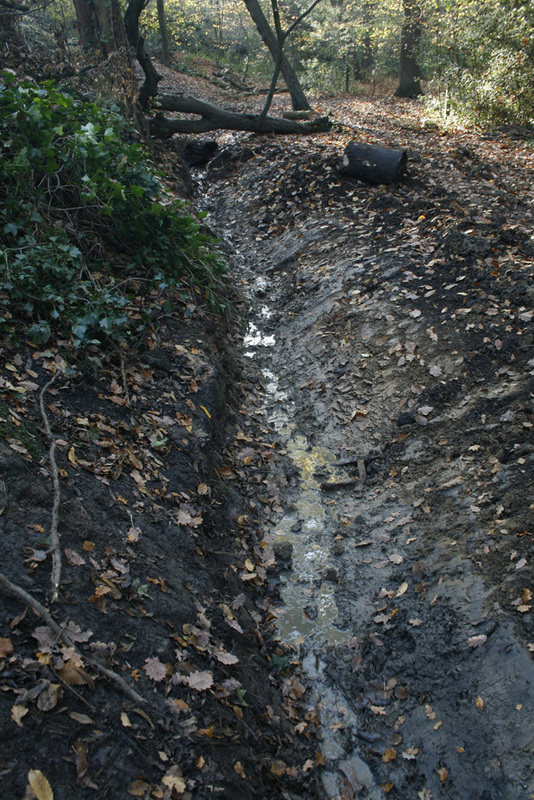 A notice announces that a generous grant has allowed work to begin on the Ambrook (a tributary of the Effra, now mainly underground), and Dewy Pond, which it feeds. The pond has been in sorry state for years, in full shade, choked with leaves and covered with duckweed. Very little lived there. I didn't even know there was a stream, which is in the process of being dug out. Right now the water is just a trickle, but hopefully the project will bring it back to life. 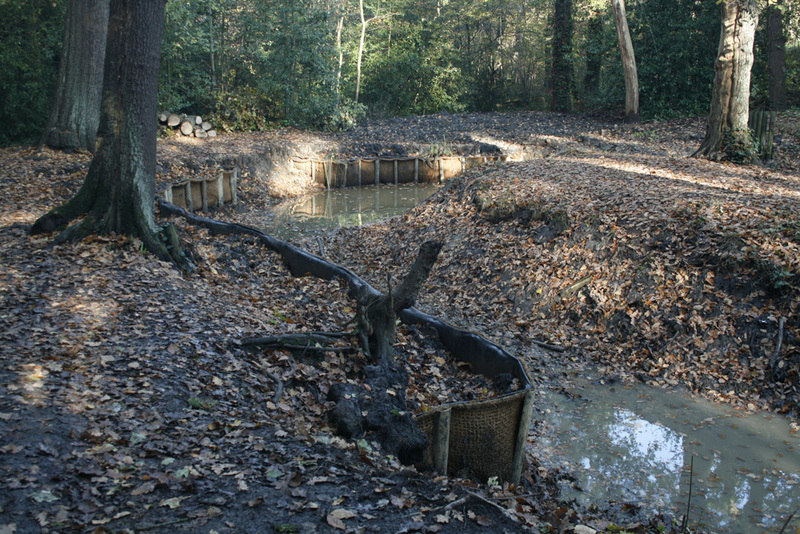 It's thought the works will take three years, but the result will be living water, full of invertebrates which will in turn provide food for birds, amphibians, and for the wood's prized colony of seven species of bat.